Beautifully presented 3 bedroom 2 bathroom top floor apartment in Turre with a build size of 99m² and plenty of outdoor space, including a communal roof terrace. The property boasts an allocated underground garage space, storeroom, lift access to all floors, including the roof solarium, and is situated in the centre of town with all daily amenities found within easy walking distance. On entering the apartment, we find ourselves in a very light & wide central hallway that runs the length of the property. The fully fitted kitchen is first on the left, followed by the living/dining room which is an excellent size, finished to a high standard and benefits from plenty of natural light flooding in from the terrace. The terrace is large enough for a table & 2 chairs. The living room also features a recently installed pellet burner which is more than enough to heat the entire apartment. Following the hall, we come to the 3rd and 2nd bedrooms which are both double rooms. Next on the right is a very handy storage cupboard, with the master bedroom at the end of the hall on the left. On the right is the main family bathroom which is a great size with a full length bath. The master bedroom boasts fitted wardrobes, en-suite bathroom and access onto another private terrace. This terrace has an awning providing shade as the sun hits this terrace for most of the day. As previously mentioned, the apartment has been finished to a very high standard can be sold fully furnished, minus the living room sofa and TV, if required. Fly screens have been fitted on all doors & windows throughout the property, air conditioning has been installed in the living room and master bedroom. The development includes a huge communal roof terrace with views of the village as well as the Sierra Cabrera mountains. This apartment is sold with an allocated parking space in the underground garage and a lockup storeroom for additional storage. The lift in the complex stops at all floors, including the underground garage and the roof terrace. Turre is a small Spanish town located below the Sierra Cabrera mountain range. These mountains create a spectacular backdrop and Turre is an ideal base from which to explore. The town hosts a bustling street market every Friday which is a great opportunity to purchase local produce & souvenirs. 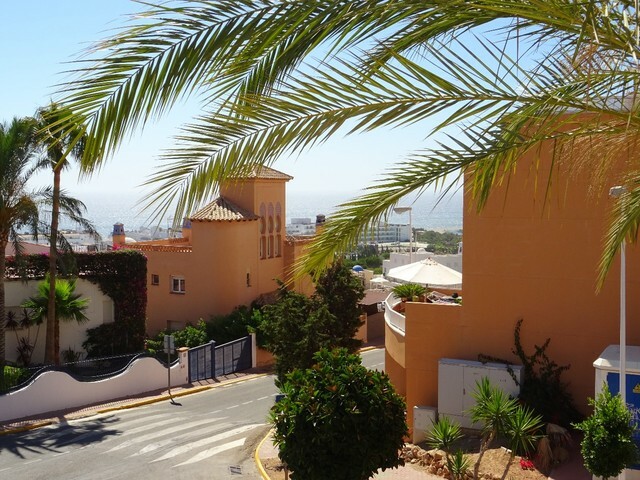 Turre is a 7 minute drive from the long, sandy beaches of Mojacar or Garrucha with plenty of free parking available along the beachfronts and a variety of shops, bars & restaurants along the promenades. Turre is easily accessible from Almeria airport (50 minutes), Murcia airport (1.5 hours) and Alicante airport (2 hours).